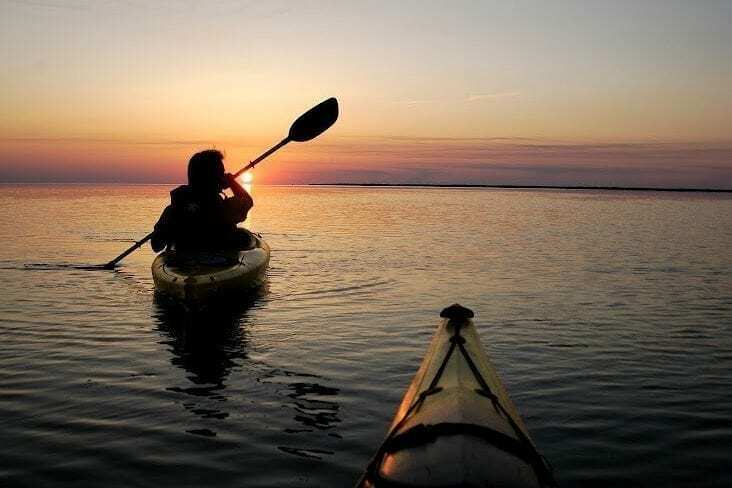 The Duck Kayak Tour explores the salt marshes and open sound environments of the Currituck Sound of the Northern Outer Banks. Come check out our Duck Kayak Tour on the border of Duck and Corolla on the Currituck Sound of the Northern Outer Banks: the Duck Currituck Sound Kayak Tour. We launch at the newly renovated Sanderling Resort & Spa and paddle around the salt marsh islands and flatwaters salt of the Currituck Sound. Check out salt marshes, small islands while spotting shore birds, eagles and other local wildlife. This kayak tour is centrally located to southern Corolla, Duck Village and Southern Shores and is a great access to the Currituck Sound .